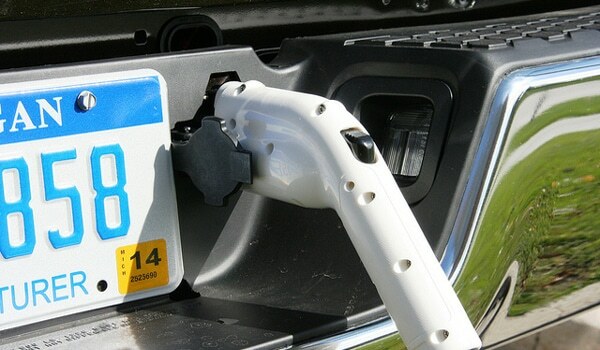 Autos Reign Plug-in Hybrid Electric Vehicles: Driving Toward a Sustainable Future? Today, energy efficiency and conservation are significant environmental causes, and the production of plug-in hybrid electric vehicles (PHEVs) are one part of that. But there are still more benefits to PHEVs as well as some drawbacks consumers need to consider before purchasing one. PHEVs use batteries to power an electric motor, and they can be charged using a power station or the power outlets you use in your home. But they do not run on electricity and batteries alone. 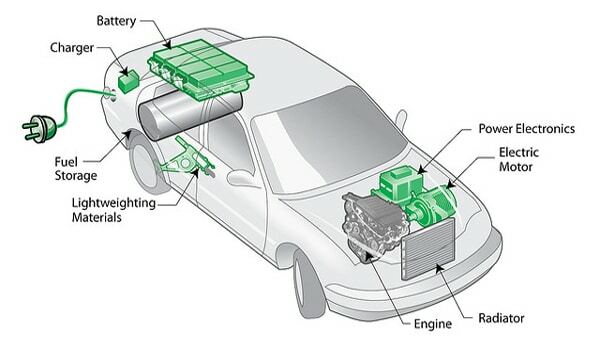 Unlike purely plug-in electric vehicles, hybrids also use another fuel, such as gasoline or diesel, to power an internal combustion engine, the type of engine you normally find in a standard vehicle. Parallel hybrids connect both the electric motor and the engine to the wheels so that both can drive the wheels. Series hybrids only use the electric motor to drive the wheels. Instead of driving the wheels, the engine and fuel only generate electricity for the electric motor when the battery needs to be recharged. PHEVs also benefit from their ability to regenerate energy when the car brakes. The regenerative braking and internal combustion engine charge the battery and recapture the energy that is normally lost during braking. Another way many PHEVs conserve energy is by automatically shutting off the engine when the vehicle comes to stop and restarting it as soon as the accelerator is pressed. This negates the energy usually wasted by idling. Certainly, the range of a PHEV does not compare to the miles that can be driven on a typical tank of gas. But with a range of up to 40 miles, PHEVs could theoretically last long enough on one charge to get drivers to and from work within 20 miles. According to Saturn, that will accommodate the 80 percent of consumers who work within this range, and the car will only need gas for providing extra power for accelerating, passing and merging. This means that, technically, the car should be able to nearly run on electric power alone, which would conserve a great amount of fuel over time. Not using as much gas has its own set of benefits. It reduces the country’s dependence on oil, which improves energy security. It is better for the air and environment by not producing as much car emissions. It saves money on gas and improves fuel economy. There are some drawbacks to consider as well. The amount of energy used and waste sent into the air from producing an electric car cancels out at least some of the environmental benefits until a driver owns the car for a certain amount of time. Options that still beat out electric cars is carpooling and taking public transportation, which can mean several cars off the road entirely. Like you said in the first paragraph: a PHEV is a dual-fuel vehicle. A Chevy Volt, for instance, drives something over 300 miles on a tank of gas. About thirty miles of a trip can be accomplished on battery power without the engine running. A typical result is PHEV owners may drive 900 miles between visits to the gas station: that’s 300 miles on gas and 600 miles on electrical power from the wall. A dollar’s worth of electrical power drives you about the same distance as three dollars of gas.